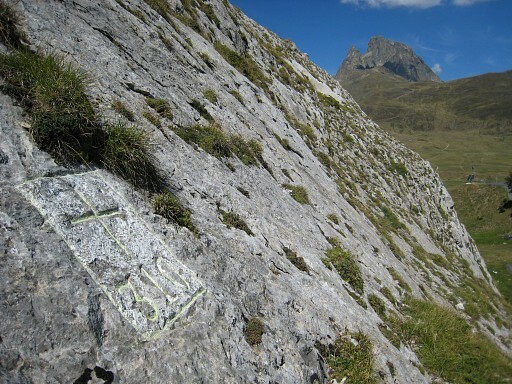 Bm310, Pic du Midi d'Ossau in the background. 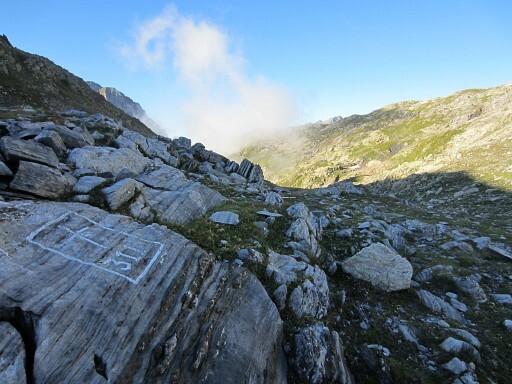 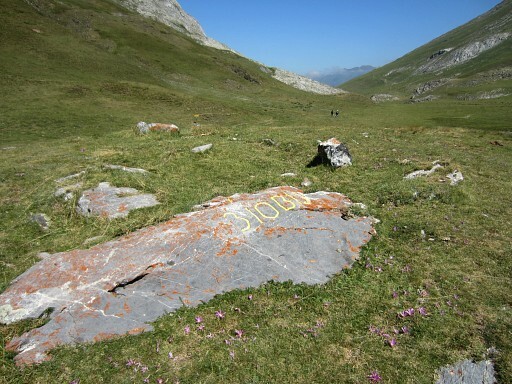 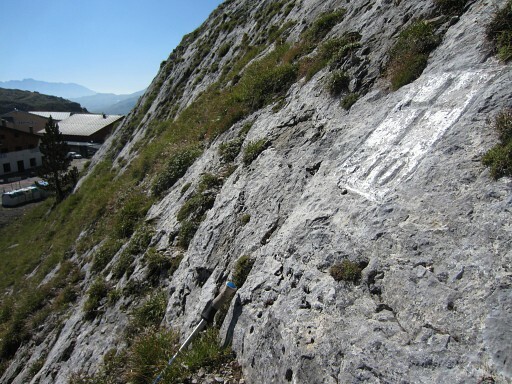 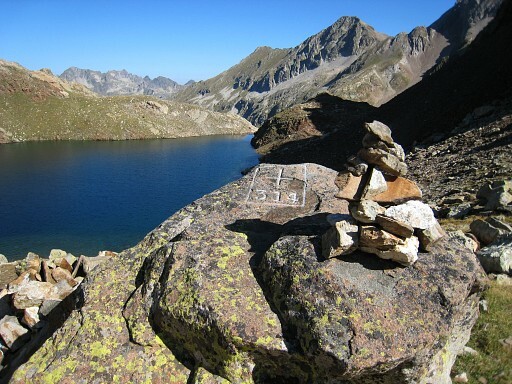 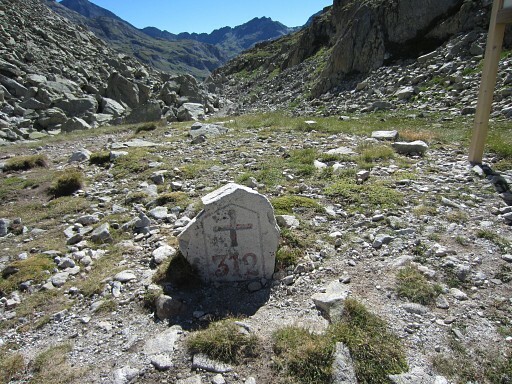 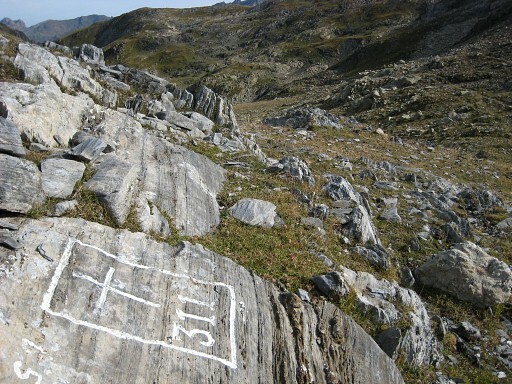 Near Col du Pourtalet there are several unnumbered crosses, used in the past as bordermarkers by shepherds. 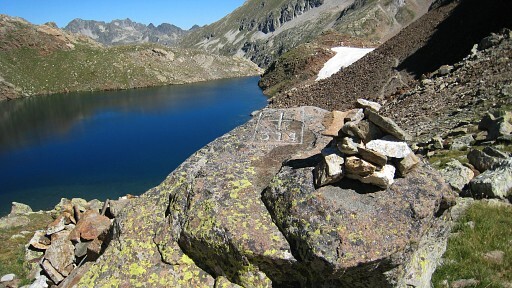 Seven of them have been refound by Jean-Pierre Dugène. 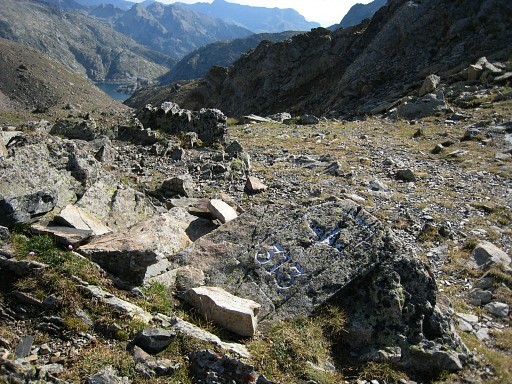 See next bm. 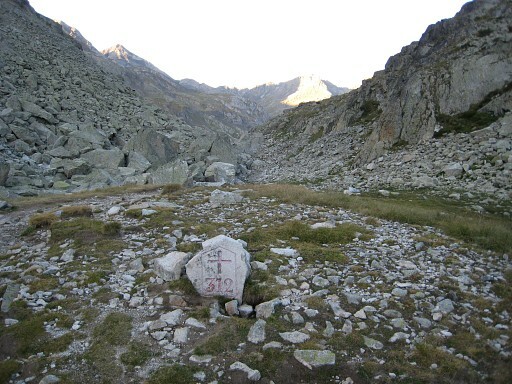 Until september 2012, this bordercross on Col de Peyrelue was unknown to the bordermarker-community. 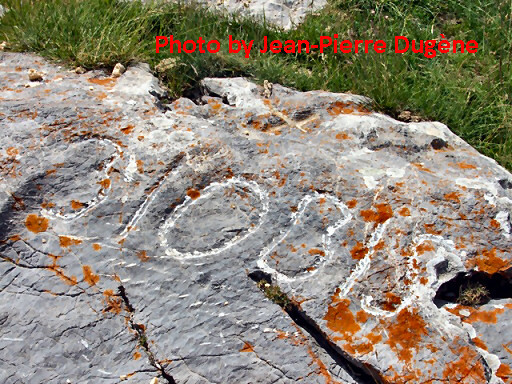 The official treaties do not mention this bm. 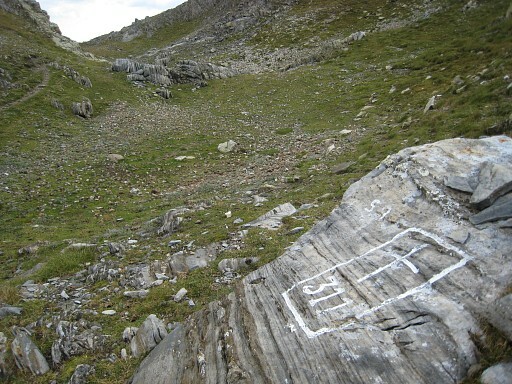 But this bm was accidentally mentioned in 2 newspaper articles (this one and that one). 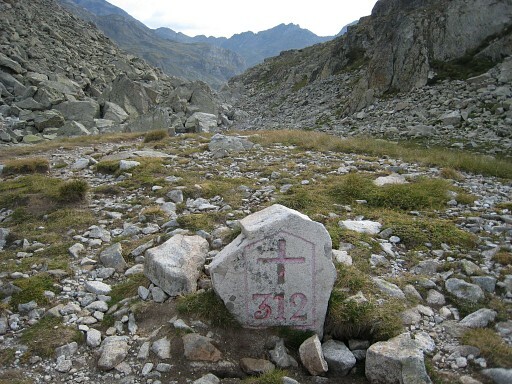 Jean-Pierre Dugène is an expert on crosses (other than official bordercrosses), used by shepherds as bordermarkers around Col de Pourtalet. 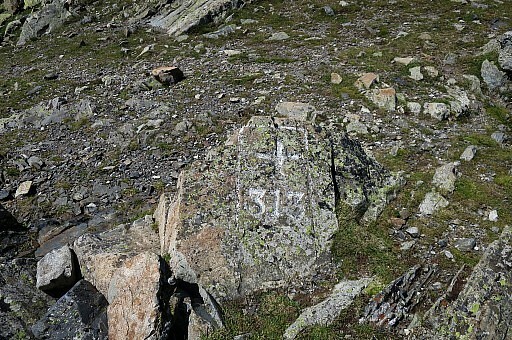 And he confirmed the existence of bm310bis and kindly sent this picture.